When Eli Isom was introduced as the partner of Kenny King and Chuckie T in the gauntlet match for a shot at The Kingdom’s ROH World Six-Man Tag Team Titles on this week’s episode of “Ring of Honor Wrestling,” The Kingdom made a crack about the two veterans having to team with a rookie because they have no friends. Everyone in ROH knows Eli Isom’s name now. In one of most shocking upsets in ROH history, Isom pinned Christopher Daniels to lead the makeshift team to victory over SoCal Uncensored (Daniels, Frankie Kazarian and Scorpio Sky) in the finals of the gauntlet match. The Future of Honor competitor is now one three count away from being a co-holder of the ROH World Six-Man Tag Team Championship. Isom, who turned 23 last month, initially looked as surprised as everyone else after he countered Daniels’ Angel’s Wings with a backdrop and landed on top of him to pin ROH’s only Grand Slam winner. “When I realized that referee Paul Turner counted the three, a lot went through my mind,” Isom told ROHWrestling.com. “It was kind of a blur. To be honest, I was just glad I didn’t screw anything up. After we went to the back, though, it actually hit me. In the wrestling history books it will always say ‘Eli Isom pinned Christopher Daniels,’ and that’s something I’ll hold dear to me for the rest of my career. Isom, a native of Rensselaer, Ind., moved to Philadelphia to begin training at the ROH Dojo in January 2017. 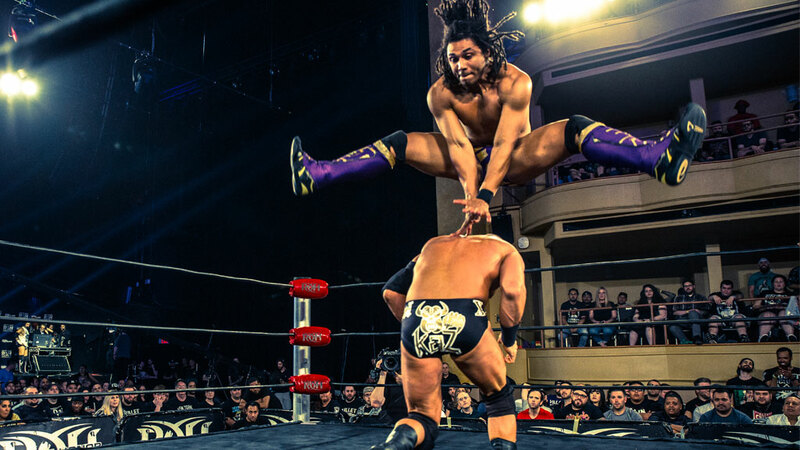 Isom has been gaining experience by wrestling in Future of Honor matches, both in singles competition and in tag team bouts with fellow ROH Dojo product Ryan Nova. Additionally, Isom and Nova have taken their lumps in the ring against the likes of nine-time ROH World Tag Team Champions Jay and Mark Briscoe, The Bouncers (Beer City Bruiser and Brian Milonas) and The Dawgs (Ferrara and Rhett Titus). Despite Isom’s lack of victories against established ROH stars, he showed flashes of what he’s capable of as well as tremendous heart. That said, because Isom was perceived as the weak link of his six-man team, no one gave him, King and Chuckie T a chance when they stepped into the ring to face former ROH World Six-Man Tag Team Champions SCU, who had just eliminated Alex Shelley, Jonathan Gresham and LSG. Once SCU isolated Isom, the outcome seemed even more of a foregone conclusion. “This is almost a layup for SCU,” Cabana remarked as Daniels, Kazarian and Sky triple-teamed Isom. But Isom rejected that layup, and now the rookie is shooting for the stars. “In terms of short-term goals, I would love to wrestle some of the top guys in the company like Cody, Dalton Castle or Jay Lethal,” he said. 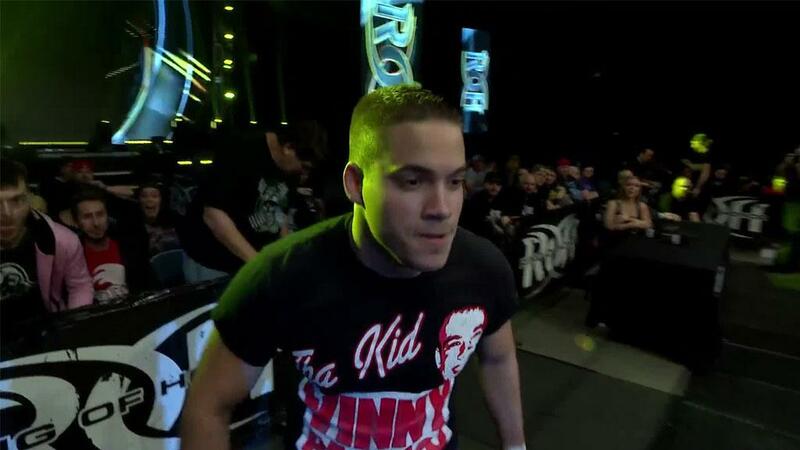 “I love to test myself and what better way than to go up against the best ROH has to offer. My long-term goal since I started at the ROH Dojo is to be under contract. I made a promise to my family that I’ll do whatever it takes to get it.